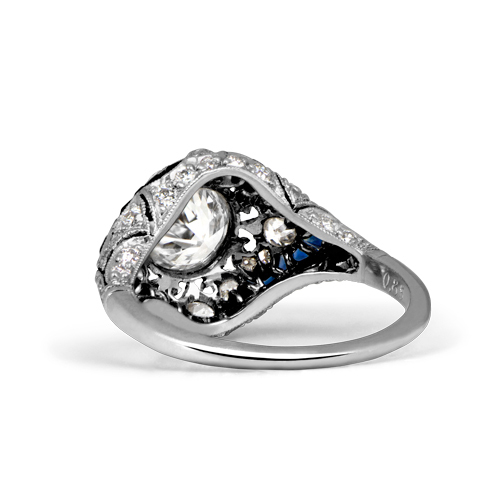 A stunning diamond and sapphire engagement ring, handcrafted by Estate Diamond Jewelry’s 3rd generation jewelers, and inspired by the city of Warsaw. 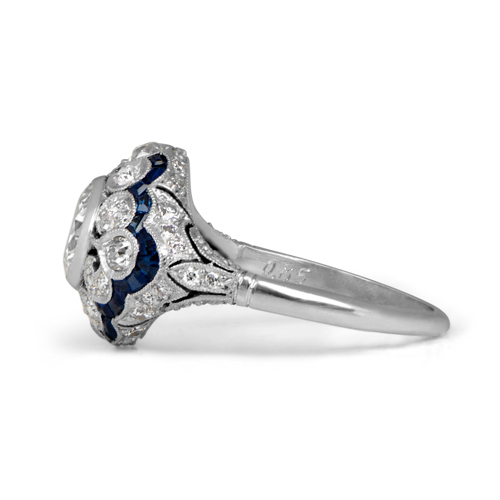 Fine floral motif openwork surrounds the center diamond, which in turn is accented by calibrated French-cut sapphires. 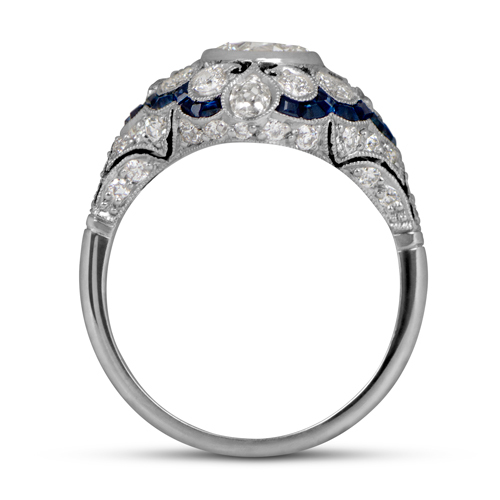 Additional diamonds and milgrain adorn the lower gallery and shoulders. 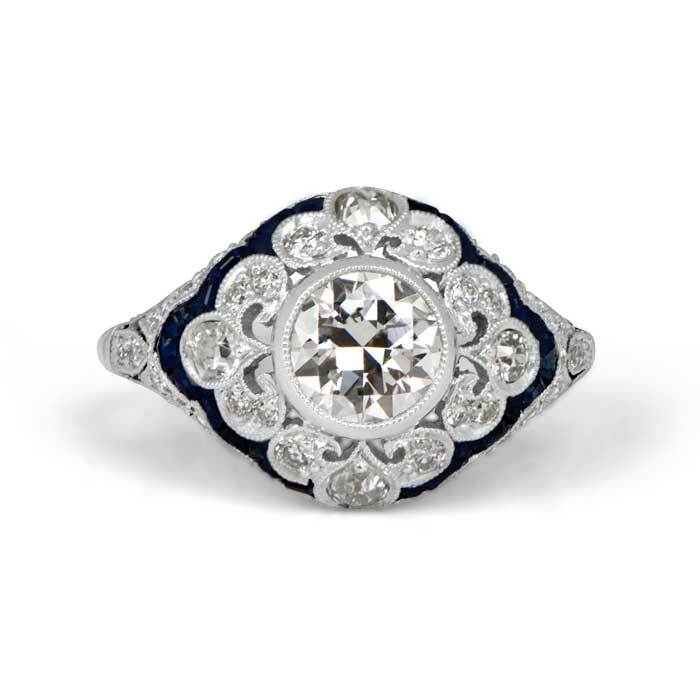 The center diamond was cut circa 1925 and weighs approximately 0.85 carats, J color and VS2 clarity. 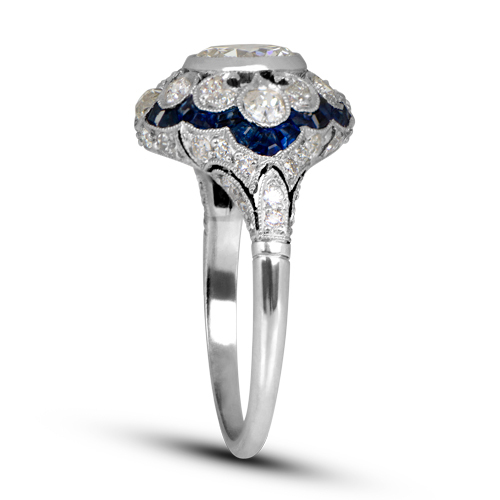 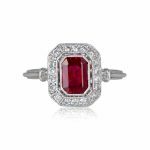 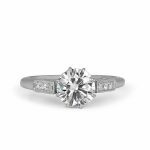 SKU: 11619 Categories: Diamond and Sapphire Engagement Rings, Vintage Engagement Rings - Contact us and request additional pictures.